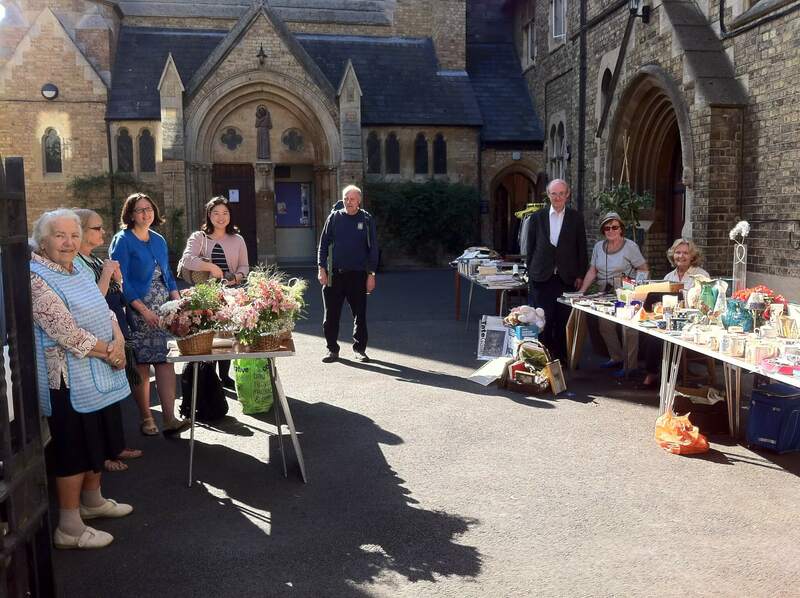 His Royal Highness the Duke of Cambridge today graciously visited our parish to open the new China Centre at St Hugh's College. The Duchess of Cambridge was also due to visit, but following the announcement this morning that she is expecting a second baby, was unable to do so. 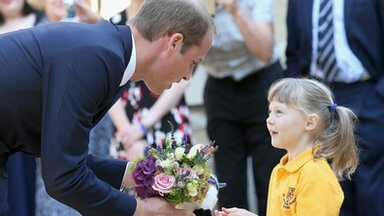 Thirty children from St Aloysius' School, across the road from St Hugh's, were there to greet the Duke, along with Mr Tom Walker, the Head Teacher. 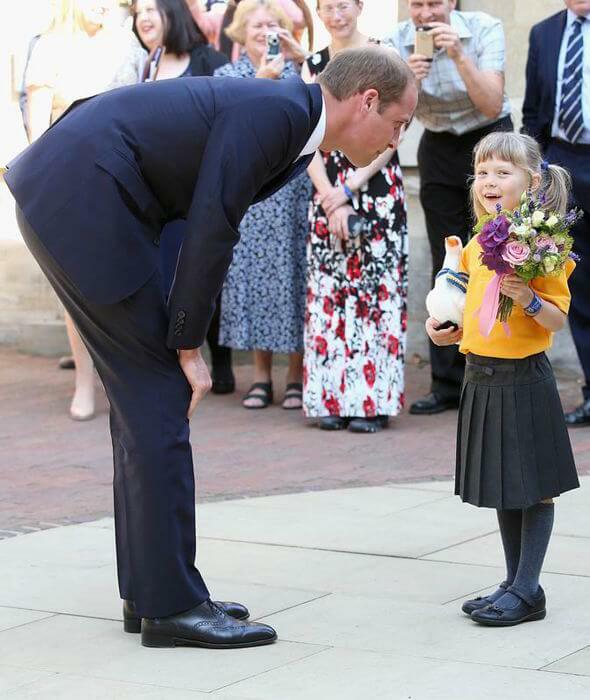 Five-year-old Beth Barton, a pupil at St Aloysius', presented a posy to Prince William, along with a toy swan for Prince George. The swan was particularly appropriate for St Hugh's College, given that St Hugh of Lincoln is depicted (for example in the statue on our reredos) with a swan. This is the swan of Stowe, which had a deep and lasting friendship with the saint, even guarding him while he slept. The swan would follow him about, and was his constant companion while he was at Lincoln.